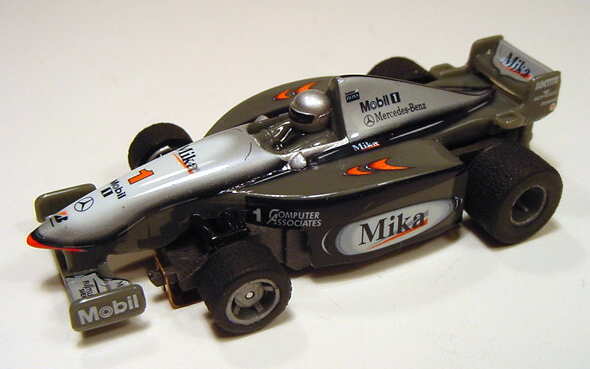 This set only McLaren F1 Sharknose "Mika" #1 was produced back in 2001 and is long since out of production. 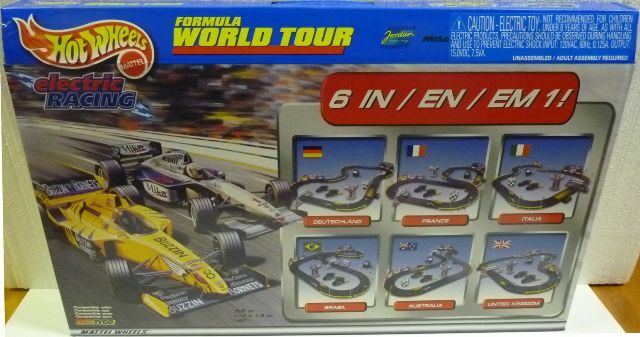 It was found in the Mattel Formula World Tour race set #37647 which was only available in Canada and Europe. It resides on the 440-X2 narrow chassis which can also be used for other F1 bodies. 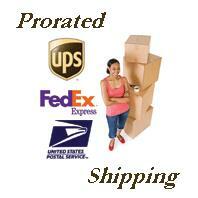 These chassis have long been known for their consistency and durability. It is new unused in our own design protector box.